Every year, thousands of Americans are attacked by dogs. 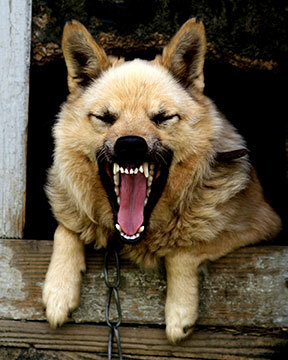 While there are no reliable statistics for dog bites in New Orleans, it can be assumed that with the large number of stray dogs and fighting dogs in the city, bites occur fairly often. We cannot simply blame the dogs for these alarming statistics. Many animals are trained as guard dogs, attack dogs, or even fighting dogs, despite the fact that it is illegal to train dogs to fight. These dogs are victimized every bit as much as the victims of their attacks, and they too are often severely injured or even killed in dog fighting rings as they fight for their lives. It is no surprise that many of these animals are ingrained with vicious behaviors and ultimately end up harming humans. Negligent and abusive dog owners should be held liable for their actions and lawsuits for dog bites and attacks not only compensate the injury victim, but also send a powerful message to deter New Orleans dog owners from fighting their dogs or training them to be vicious or aggressive. Dog fighting is a rampant problem in New Orleans and throughout the Southeastern Louisiana area. Many people view dog-fighting as a sport or entertainment, but it is cruel and it is a crime. It also leads to aggressive dogs and poor breeding methods. Of course, sometimes dogs that have never been trained to be aggressive or to fight will bite and injure victims, without any provocation whatsoever. 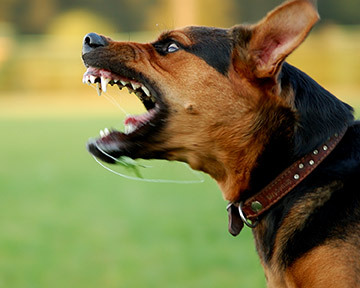 Their owners should also be held liable in many cases, especially when they had knowledge of the dog's tendency to bite or when some negligence on their part attributed to the dog bite. What it boils down to is that if you or a loved one have been bitten, attacked, maimed, or killed by a dog, you should be entitled to some degree of compensation from the dog's owner or handler. Contact one of the experienced New Orleans dog bite lawyers above for a consultation regarding your claim. Usually, these types of dog control laws and ordinances are only found in large Louisiana cities like New Orleans. If you or a loved one has been bitten or mauled by a dog running loose in violation of the law of New Orleans or the law of a Parish in Southeastern Louisiana, you should contact a local New Orleans dog bite attorney immediately. New Orleans has dog laws separate from Louisiana's laws. New Orleans now requires dogs to be spayed or neutered at 6 months old, unless a special permit is purchased. To purchase the permit, at a cost of $20 per year, the dog must be up to date on all shots and micro-chipped. If you or a loved one have been bitten or mauled by a dangerous dog in New Orleans, Jefferson Parish, or Southeastern Louisiana, please contact one of the experienced NOLA dog bite injury lawyers listed on this page. Seek the help of a New Orleans dog bite attorney, if necessary, and maintain copies of all medical records. New Orleans is currently without an animal control service, having failed to renew the SPCA's contract past 2010. If you or a loved one has suffered an injury, please contact one of the experienced Orleans Parish dog bite lawyers listed on this page.